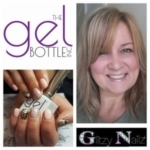 Caireen of ‘Glitzy Nailz’ is a freelance nail technician covering Cumbernauld, Airdrie, Coatbridge, Kilsyth across the North Lanarkshire area. A Certified ‘Gel Bottle Inc’ Nail Stylist technician, a “Soak Off Gel Polish with 350 colour range, 21day + chip free nails promise! ” award winning brand and industry leader. Hot stones, massage, aroma massage, various Facials, Galvanic Nu skin facial, LVL lashes, Semi permanent lashes, **NSI Polydip system, NSI acrylic sculptures/overlays/tips, Jessica polish Geleration nail system, Kissed by Mii Tan and Make-up, Eyebrow and Eyelash Tinting, Waxing (including advanced waxing) . 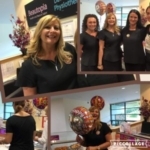 The Academy of Clinical Training is a fully accredited training academy, offering beauty training courses within the stunning spa-like premises located at Broadwood Business Park, Cumbernauld. Members of all the market leading accreditation boards, Guild, Habia, ACTA and soon to be SQA. 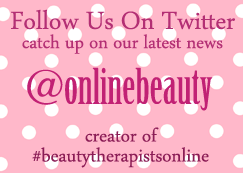 HND qualified Beauty Therapist Lindsay offers beauty and holistic services from her home salon based in Cumbernauld. Gaining a reputation from her clients for her fabulous holistic massages and therapies, Lindsay offers reflexology, aromatherapy, facials, Hopi ear candling and Reiki, as well as a selection of beauty treatments including waxing, eyebrow shaping eyelash extensions, relaxing manicures and pedicures to help you unwind and relax. Lindsay has over 8 years experience, fully qualified and BABTAC insured.